I had, by hook and by crook, a pretty good year of reading. In this post I’ll highlight what were for me the most satisfying, interesting, and entertaining books I had the pleasure to read this year. My ongoing Roman reading project started this year with Appian’s history of a century of conflict (c.130-30 BC) and concluded with some of the early poetry of Virgil. In between I sallied at Lucretius and Catullus, but spent most of my time with Cicero and Julius Caesar, the latter of whose first-hand accounts of the Gallic Wars and Civil War were a highlight of my year. 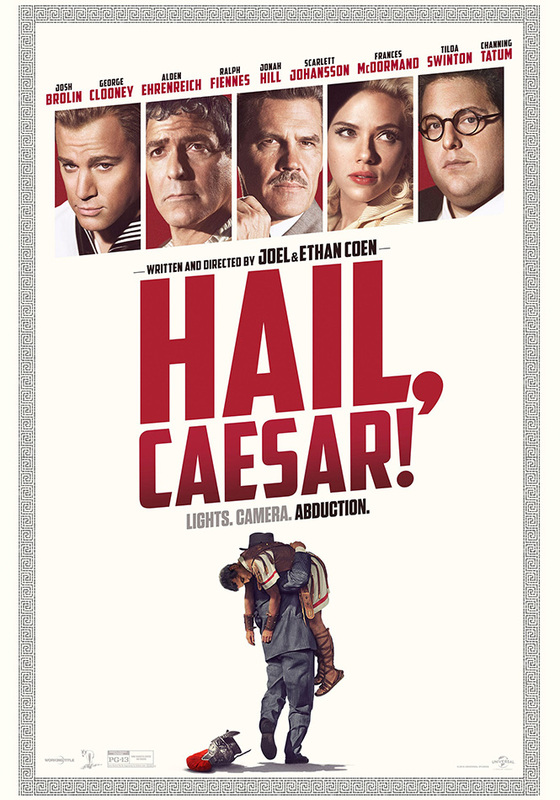 I read Caesar in the unsurpassed luxury of the Landmark edition, which I recommend unreservedly. This was also the year in which I polished off the final few volumes in Patrick O’Brian’s Aubrey-Maturin series. I’ve written about the pleasures of these books in previous years, so I’ll simply say that even apart from the wonderful characters, musical language, and adventurous stories, I loved them for their portrayal of a friendship, between Jack Aubrey and Stephen Maturin, that has few literary rivals. Forlorn without Aubrey and Maturin, I turned to Jeeves and Wooster for comfort, and spent the rest of the year devouring comic novels of P.G. Wodehouse. I expected to like the Jeeves books, and of course I did, but I also dipped into the Psmith novels and the Blandings Castle books, and, to my unalloyed delight, found them just as good. If I have to pick just one to highlight for this list, I will choose Something Fresh, the first of the Blandings Castle books, through which I laughed with hearty cheer and admiration. P.G. Wodehouse and I will remain boon companions in 2019. Another highlight has been my slow perusal of The Complete Old English Poems, a massive volume packed with Anglo-Saxon verse rendered into modern English by the indefatigable (I assume he must be indefatigable) Craig Williamson. This year I read the Vercelli Book and the Exeter Book, two of the principal surviving anthologies of Old English poetry, and I relished both. Lives of saints, clashes with cannibals, dream prayers, gnomic riddles, moral meditations — Old English poetry has it all. The thought that I still have about 500 pages to go in this colossal codex, including another encounter with Beowulf, is cheering. Of the two Dickens novels I tackled this year, the best was A Tale of Two Cities, my edition of which is now stained with tears. By some unlikely series of mischances I had arrived in life on the threshold of this book having no idea what it was about, and I was thoroughly absorbed by the tale of a family caught in the cross-fire of the French Revolution. Dickens is always good, of course, but I found him particularly good here, especially in the final quarter. I now have, I believe, only one (and a half) Dickens novels left before I’ll have read the whole groaning shelf-full. Perhaps the greatest surprise of my year was T.H. White’s The Sword in the Stone, which I began only in a dutiful effort to scout ahead of my children for good books to hand to them, but which quickly won my heart for its winsome combination of wit, supple language, and inventive storytelling. I’ve since been working my way through the other volumes in White’s Arthurian tetralogy, but, as I was warned, they have not been the equal of the first, which has earned a spot among the ten or fifteen greatest children’s books known to me. The last novel I will praise on this list is George Mackay Brown’s Magnus, a mercurial book that is, on the surface, a life of the twelfth-century Earl of Orkney, St Magnus Erlendsson, but which turns out to also be lyrical medieval hagiography, ruminative meditation, and, in one dazzling sequence, a kind of spiritual portal into the twentieth century. Formally inventive and beautifully written in a style that drifts, as circumstances demand, between knotty toughness and languid beauty, I found it an excellent and memorable read. Among the best nonfiction I read this year was Mont St Michel and Chartres, Henry Adams’ love letter to France in the high middle ages. His is a very personal encounter with the architecture and literary art of the period, with a premium on imaginative appreciation rather than objective analysis. It is a book that is willing to engage the great masterpieces of medieval art in a childlike spirit in an effort to collapse, so far as is possible, the centuries separating us from those who made and first inhabited them. I found in its pages a kindred spirit. A rewarding short read was Michel de Montaigne’s essay “On the Education of Children”. Montaigne wrote about the aims, methods, and motives of education from within the broad tradition, playing on a thread that has grown frayed and strained in the centuries between his time and ours, and therefore providing a healthy, robust contrast with our own habitual ways of thinking about education today. This was my first foray into the world of Montaigne’s essays, and I look forward to going back. I’ll round out this list with another book about education. Renewing the Mind: A Reader in the Philosophy of Catholic Education, edited by Ryan Topping, is a treasure trove of reflections on the nature and purpose of education culled from eminent pens, starting with Plato and Aristotle, running up through Augustine, Basil, and Aquinas, through Erasmus and (yes!) Montaigne and into the 20th century. It’s a superb collection that has been put together in part to remind modern Catholics, the great majority of whom have attended schools much more influenced by Rousseau and Dewey than by Bonaventure and Newman, just what the Church through time has thought and taught about education. If my dozens of pages of notes are any indication, it’s a book with a lot of valuable things to say. Newest: Ross Douthat, To Change the Church. Longest: Charles Dickens, Little Dorrit. Most by one author: Shakespeare (11), Wodehouse (11), Thornton Burgess (5). That’s the kind of year in books it’s been for me. I had another fairly instructive year at the movies. Last year in my annual round-up I mentioned that I had been trying, in a desultory manner, to educate myself by viewing films with some claim to classic status. That enterprise continued this year, except that I expunged all traces of the desultory from my efforts: I established a kind of system (which, for fear of ridicule, I shall not unfold in all its glorious complexity) to ensure that my film viewing would be both entertaining and improving, stretching the (mostly temporal) boundaries within which I have traditionally confined myself. Sad to say, much of that good seed fell on hard soil, or was choked by weeds, or trampled underfoot, and I feel it has borne relatively little fruit. As will be evident in a moment, most of the films I most enjoyed this year were of recent provenance, and I am just a little bit ashamed of that. This year, for example, I went back and watched the very earliest films on record: the Roundhay Garden Scene (1888), the short films of the Lumière Brothers (c.1895), and the first narrative film, A Trip to the Moon (1902). I watched a few early horror films of the German expressionist school (The Cabinet of Dr. Caligari (1920) and Nosferatu (1922)) and some early American films about wartime (The Birth of a Nation (1915), All Quiet on the Western Front (1930), and Gone with the Wind (1939)). I made a point of watching films by highly regarded directors, such as Hitchcock [Notorious (1946)], Wilder [Sunset Boulevard (1950)], Kurosawa [Seven Samurai (1954)], Dreyer [Ordet (1955)], Altman [M*A*S*H (1970)], Tarkovsky [Solaris (1972)], Mamet [Homicide (1991)], and Anderson [The Master (2012)]; these I appreciated to greater and lesser extents, but none of them, at least on first acquaintance, have found much of a place in my heart. A highlight of my year was a “Dardenne Brothers Film Festival”, in which I discovered the work of the Belgian filmmakers Jean-Pierre and Luc Dardenne. 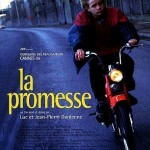 I watched La Promesse (1996), Rosetta (1999), Le Fils (2002), L’Enfant (2005), and Le Gamin au vélo (2011), the last of which I discuss in more detail below. These are great films. The Dardennes have a distinctive aesthetic: handheld cameras, spare dialogue, long takes, shots often taken through door frames or half-blocked by corners, and so on. They have a particular fondness, which grows endearing, for filming the backs of their characters’ heads. There are thematic elements too that crop up again and again and make their films into something like a unified body of work. In each film they are looking at the economic underclass, people on the brink of poverty who often resort to blackmarkets or other illegalities to stay afloat. All of their films are intensely concerned with the relationships of parents and children, and especially with the role of fathers in the lives of children. But perhaps what is most characteristic of their films, and also most interesting, is their keen moral sense. Though their characters live buffeted by all kinds of pressures and act from all sorts of motives, we are never allowed to forget — and neither are they — that they are moral beings facing specifically moral decisions. Not that the films are “moralizing” in a perjorative sense, but the films exist in a moral universe. In 2011 the Dardennes were awarded the Robert Bresson Prize, given to filmmakers whose work “has given a testimony, significant on account of its sincerity and intensity, of the difficult road in search of the spiritual meaning of our life.” They deserved it. With each new film he makes, Terrence Malick is rising steadily in my personal pantheon of filmmakers. That is not to say that each new film is better than its predecessor — To the Wonder is a lesser achievement than The Tree of Life in just about every respect — but the more experience I have of his work the more I find myself sinking into it, soaking it up. At this point, I am ready to give myself up to his films, floating along with his camera like a feather on the wind. To the Wonder is in many respects his most challenging film yet. There is no question that it is visually and aurally gorgeous, but it makes few concessions to familiar cinematic conventions. It’s elliptical and elusive, with many narrative gaps and almost no on-screen dialogue — Malick’s penchant for voice-over is here taken to an extreme. Where most of Malick’s films invite a contemplative viewing, To the Wonder comes close to requiring it. It divided the audience at its premiere, and is likely to go on doing so. The story centers around an American man, played by Ben Affleck, and his relationship with a French woman, played by Olga Kurylenko. They fall in love in France — there is a glorious sequence filmed at Mont St. Michel that lifted me up to the fourth or fifth heaven — but they eventually move to Texas where, for various reasons, most of which are only hinted at, their romance falters and the hard business of loving one another begins. Where The Tree of Life was concerned with exploring the meaning of grace, To the Wonder is about love: what is it? what does it mean? what does it feel like? how is it lived? where does it come from? Malick explores these themes by contrasting the central romantic relationship with that of another character: a priest in the town where the couple settles (played by Javier Bardem). He is a good man who spends his days visiting the poor and sick, and who preaches from the pulpit with wisdom and authority, but who, rather like Bernanos’ country priest, is inwardly dry, steadfastly longing for God but finding no consolation in Him; he feels abandoned and alone. Nonetheless, he carries on with faith and hope, day in and day out. 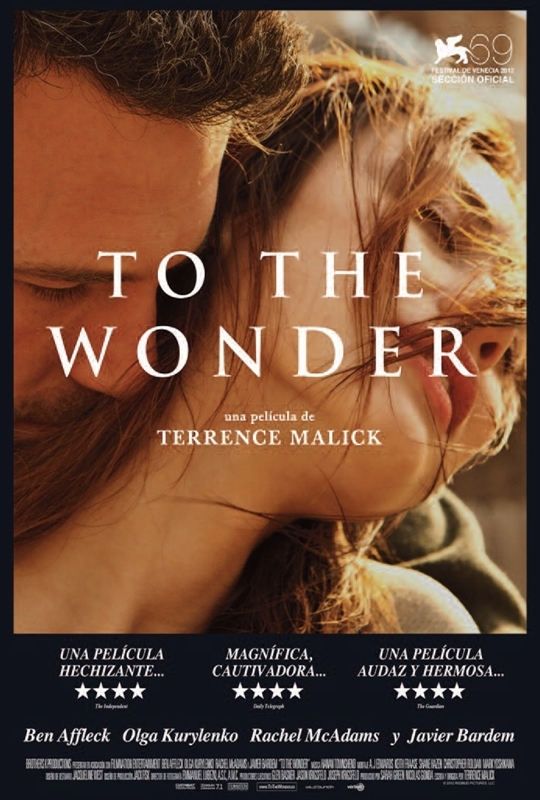 My reading of the film is that Malick has set before us two understandings of love: one founded on romantic feeling, intense and spontaneous, and another founded on commitment, tenacious and steadfast. Which is the more attractive? Which is the more fruitful? Which brings the most happiness? The answers will vary from viewer to viewer, though I think I know where Malick comes down. There is, after all, little reason for the priest to appear in the film apart from his value as a provoking counterpoint. This is not the first Malick film I would recommend to someone unfamiliar with his work; it is too saturated with unfamiliar techniques that, to the uninitiated, would be alienating. It is also a film with a remarkably cool, distant tone (though I think this is intentional and is related to the film’s moral attitude toward commitment). And it is admittedly a flawed film, with an awkward structure and a certain lack of cohesion. Nonetheless, it is an incredibly beautiful film that poses big questions and is finally, I think, a loving address to “the love that loves us”. 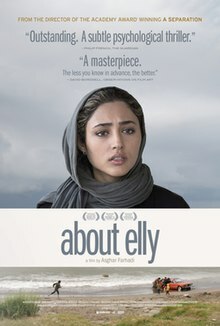 It is my favourite film of the year. I hesitate to mention this film, not because it is not an excellent film — it is, emphatically — but because it is a difficult film to watch. Nonetheless, here we are. 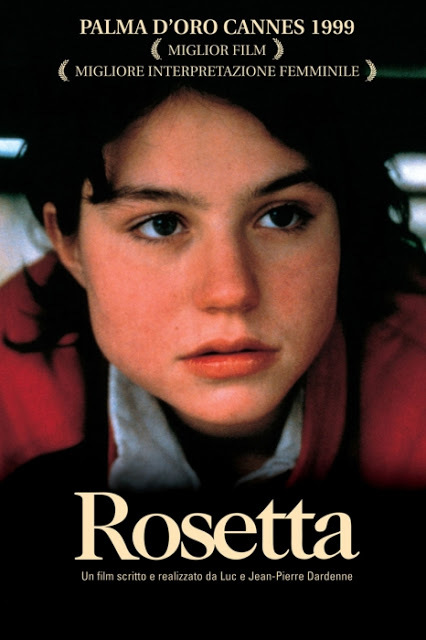 The film is set in Romania in the 1980s, under the Ceauşescu regime, and it tells the story of a woman who, with the help of a friend, procures an illegal abortion. Both the style and the content of the film deserve comment. It is stylistically very dry: there are long, wide shots in which the camera is stationary, no overdubbed music as far as I recall, and in general a studied absence of overt effects. This does not at all mean that the film is artless: there is one scene, of a dinner party, that includes a single, static, long shot that is agonizingly great; I’m not sure I’ve seen anything like it before. In general the director seems determined simply to show us his story, without getting in the way. This even-handedness extends to the story itself, which, on one hand, confirms everything that a pro-choice advocate believes: yes, this woman seeks her abortion on the black market, and yes, it is far more dangerous for her than it would be in our fair land. The film is right to portray this. We understand her desperation and we sympathize with it. But the force of those arguments is blunted beyond repair by the unsparing commitment of the filmmaker to show us what is actually happening. The quiet, apparently emotionless deliberateness with which the film proceeds grows increasingly sickening, and the director grants us no easy evasions. As such, I cannot believe that anyone could watch 4 Months, 3 Weeks, and 2 Days without profound sorrow and disgust. Normally that would not be the way to recommend a film, but this is an exception. The final scene, in which the two friends sit together after the immediate terrors have passed, is understated but devastatingly effective. As I mentioned above, most of the Dardenne’s films are about the relationships of fathers and sons, and the same is true here but with this difference: the father is absent. They give us a probing portrait of the devastation wrought in the heart of the son by such absence. Rejected and abandoned, young Cyril is taken in by a local woman, Samantha, who becomes a steady friend to him. (The scene of Cyril’s first chance encounter with her is wonderfully handled by the Dardennes; this is understated direction at its best.) I loved that Samantha’s brave and unselfish solicitude for him was presented without any fanfare or underlining; goodness is so attractive that it can be trusted to shine even without a spotlight. The film is morally serious: it is about taking responsibility for one’s actions (explored in a number of mutually impacting ways), about moral failure and moral heroism, about children’s need for love and role models, about forgiveness, and about the importance of families. The characters are richly drawn, and the relationships believable. Even the title is resonant: on one level it blandly refers to Cyril and the bicycle he rides around, but in the film the bicycle serves as a kind of symbol or stand-in for his father, and the title assumes a sadly wry undertone when we realize that Cyril is finally a kid with … just a bike. Ouch. The spare use of music in the film is superb: the Dardennes normally don’t put a “soundtrack” over the sounds their microphone picks up, but here they break their rule at key points, playing the opening chords of Beethoven’s Emperor concerto, and it adds another dimension to the film that works superbly well. 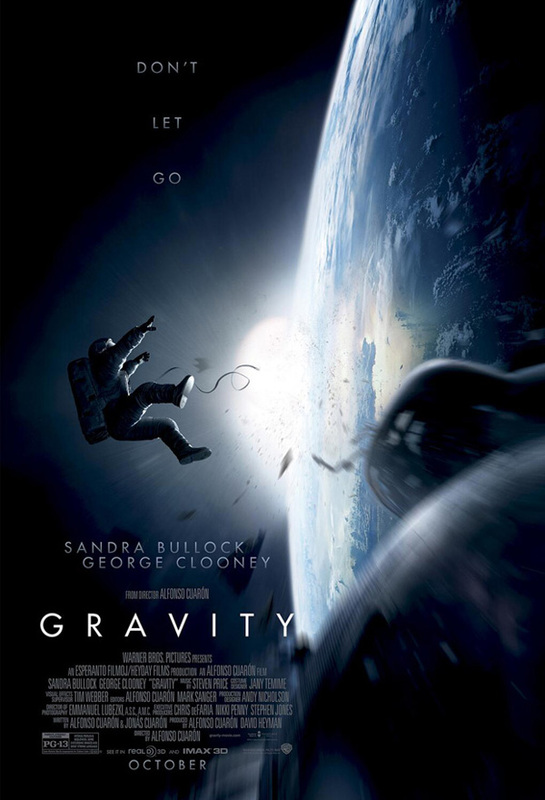 Alfonso Cuaron has a reputation, I believe, as one of the more talented and serious directors of his generation — though I confess that I have not myself seen any of his other films — so I was surprised to find him at the helm of Gravity, which on paper sounds more or less like a straightforward thriller, the likes of which Hollywood churns out in quantity: astronauts cut-off from mission control by an in-orbit disaster must somehow find their way back to earth. It just goes to show that a good director makes all the difference between a paint-by-numbers thriller and a dazzling feat of cinematic virtuosity. From the acrobatic opening shot — which lasts for something between 13 and 17 minutes (depending on who you believe) — it is clear that we are in the hands of a master, and Cuaron sees his story, simple as it is, through to its white-knuckle finale with a sure hand. In the end, it is a fairly slight tale, filled out sparely but effectively with enough backstory to give the characters weight (so to speak) and some suggestive thematic elements. (I recommend Adam Hincks’ analysis of the film for insight into this deeper matter.) The principal glory of the film is its visual splendour: Cuaron works here with Emmanuel Lubezki — also Terrence Malick’s go-to cinematographer, note well — and the images he puts on screen, together with the choreography of the camera movement in the three-dimensional weightless environment, made this one of the most rewarding cinematic experiences that I have had in years. My first Charlie Chaplin film. From the opening scene, in which the Tramp is caught sleeping on a public monument as it is unveiled before a great crowd, I was won over. 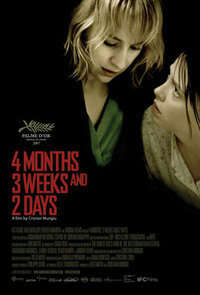 The story, about the awkward but sweet relationship between the mute Tramp and a blind woman, packs a big emotional punch at the film’s climax. I followed up by watching Chaplin’s Modern Times (1936), a more overtly political film, and while I thought it was delightful it didn’t displace City Lights in my affections. Other films I enjoyed: Anna Karenina (2012), The Conjuring (2013), Great Expectations (1946), A Late Quartet (2011), Lourdes (2009), Modern Times (1936), Much Ado About Nothing (2012), My Neighbor Totoro (1988), Sunset Boulevard (1950). My music listening this year was anchored by a few large listening projects: I marked the anniversary years of Verdi, Wagner, and Britten by dedicating a good deal of time to hearing their major works again — or, in some cases, for the first time. Given the composers involved, much of this music was opera, and I tried when possible to watch performances of their operas on DVD. I’ve written about some of that music in the consistently unpopular “Great moments in opera” series that I’ve been running (and a few more anniversary-related instalments will trickle out over the next month or two). I had planned a bunch of other focused listening projects for the year too — Beethoven’s symphonies, Shostakovich’s symphonies and string quartets, Schubert’s piano sonatas — but I didn’t get to them. They are bumped to 2014. 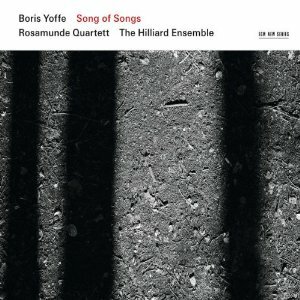 In the meantime, I’d like to share notes on a few of the best recordings I heard for the first time this year. In most cases these are new or new-ish recordings, but not in all. The predominance of vocal music reflects my interests. The ordering of this list is capricious. For the last few years music of Mieczyslaw Weinberg has figured in my year-end accolades, and the same is true this year. This three-disc set is the first complete recorded set of Weinberg’s music for violin and piano, and what a treasure it is! Weinberg wrote six very substantial violin sonatas that exhibit the same musical intelligence and emotional heft that I have admired in his string quartets. As I said of the quartets, this music is “music all the way down”: no pedantry, no gimmicks, no self-conscious preoccupation with the music or its manner of composition — just good, smart, heart-felt music that is full of variety and endlessly interesting. 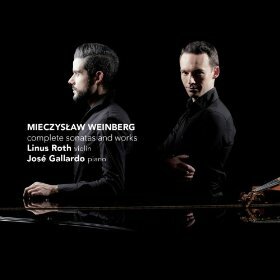 I am happy to see Weinberg’s star rising higher on the strength of recordings like this one. Move over, Prokofiev. 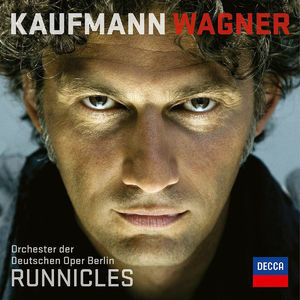 Jonas Kaufmann, who glowers from the front cover of this CD, is considered one of the leading tenors in the opera world today, and he really is prodigiously gifted: a magnificent voice that rings from top to bottom, great power, and keen dramatic instincts. 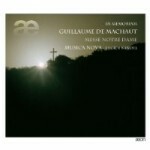 It is this last that has most impressed me on this disc of Wagner extracts. For all that Wagner was undoubtedly a great composer, it has nevertheless often seemed to me that his genius was principally manifest in his orchestral writing, and that his vocal lines were largely meandering eddies floating atop the surging currents, lacking dramatic shape and melodic interest in themselves. 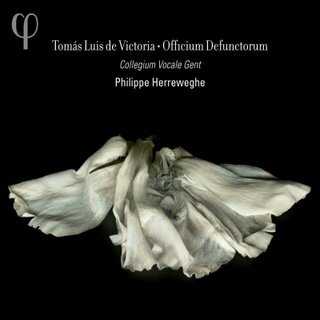 I won’t say that this recording has changed my opinion about his melodic gifts, but it has certainly made me reconsider my assessment of the dramatic shape of his writing. Never before have I heard Wagner sung in a way that brought out the taut dramatic energy, the sheer poise and responsiveness of the part as much as Kaufmann does. He has helped me to hear Wagner with new appreciation, and that is enough to get this recording onto this list. 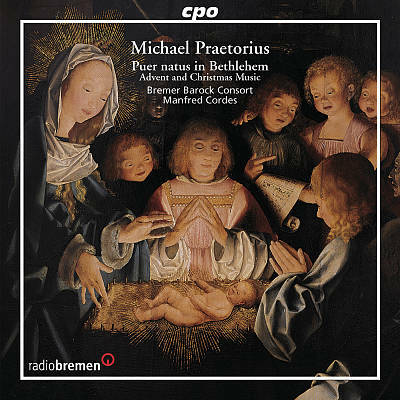 It was a year or two ago that I discovered the Dutch ensemble Cappella Pratensis. 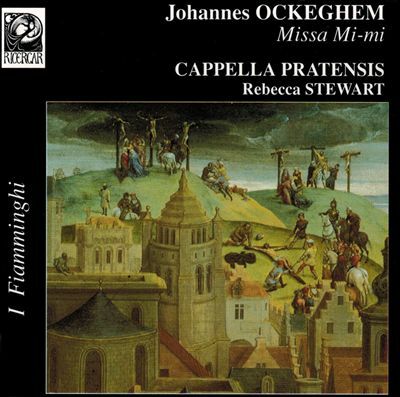 I liked them well enough to go searching through their back catalogue, and in this recording of Johannes Ockeghem’s Missa Mi-Mi I found a real gem. 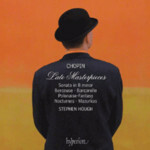 This Mass is one of Ockeghem’s most frequently recorded, and I have heard it many times, but never with this degree of translucence and calm repose. 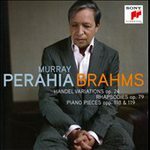 I tend to bristle at the common view that the music of this period is “relaxing” or “peaceful”, as though these frequently very difficult, intricate, and rigourously structured compositions were merely a kind of soporific. 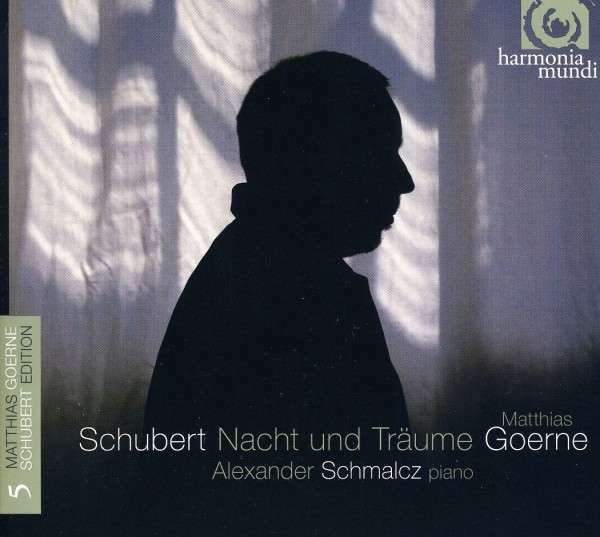 Yet in this case there would be something to that rough characterization, for this ensemble finds in this music a spaciousness and gentleness that lifts the eyes and touches the heart in a quite special way. The music breathes in long, slow rhythms, unhurried, as though content, at each moment, simply to be an expression of praise and a profusion of beauty. I don’t know that I’ve ever heard Ockeghem sung in this way before; I don’t know that I ever will again. The Mass is presented in a quasi-liturgical context, embedded within the Propers for the Mass of Holy Thursday, and the programme ends with Ockeghem’s magnificent motet Intemerata Dei mater. This disc is on this list not so much for its own merits — although it is exceptionally good — but for what it represents: the completion of Masaaki Suzuki and Bach Collegium Japan’s twenty-years-long project to record all of Bach’s surviving cantatas. Should I be ashamed to admit that I have collected all fifty-five volumes? Maybe so, but think of all the beer I didn’t buy. 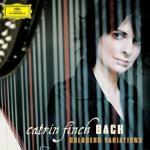 Japan might not be the country we think of first when we think of Bach (quite wrongly, perhaps), but the proof is in the pudding: the performances on this disc and across the whole set have been consistently excellent. Suzuki’s approach to the music is “historically informed”, which means in practice that the choir is small and lithe, the textures light, and the rhythms sprightly. It’s Bach played and sung just the way I like it. Here is the Bach Collegium Japan performing one of the cantatas on this final disc. Bravo! Eric Whitacre is one of the more successful young composers working today. 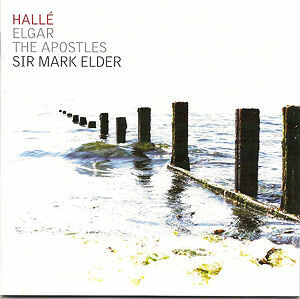 As far as I know, he writes mostly choral music, in an accessible idiom within the reach of amateur choirs, and quite a few recordings of his music are now available. He was commissioned by the Tallis Scholars to write a piece to celebrate the 40th anniversary of their founding, and he came up with Sainte-Chapelle, a piece which imagines the stained-glass angels in that beautiful church singing the Sanctus. The piece was premiered early in 2013 and recorded shortly thereafter. It must be said that it is a gorgeous piece, growing in energy and luminosity as it goes. 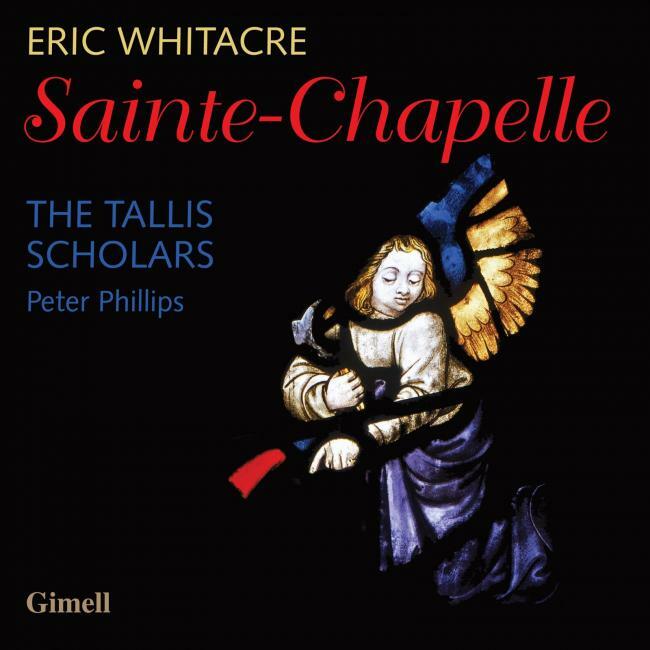 I had never before heard the Tallis Scholars sing anything other than Renaissance polyphony, but Whitacre’s writing respects their area of specialization, growing out a plainchant melody just as so many Renaissance pieces do. 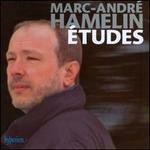 I’ve played this recording so frequently this year that I cannot but include it on this year-end list. As the pace of my life has accelerated and my hours of sleep have dwindled in recent years, I have become a little more exacting about the books I admit to my reading queue. At the beginning of 2013 I drew up a list of about thirty titles that I intended to read over the course of the year. Looking at that list again today, I see that I only half-succeeded. Well, at least I have a good start on my list for 2014. Part of the reason for my slow progress was that I decided, mid-year, to ease up on my explorations of that vast ocean of “Books I Have Not Read.” I paused, took a deep breath, and went back to re-read some things that I had enjoyed on first acquaintance and always meant to return to. This was a good practice, and I am planning to continue it in the new year. Among the books I did read this year, a few stood out as being particularly good. I intend to write more about this book in the coming weeks, but I can make some brief comments here. 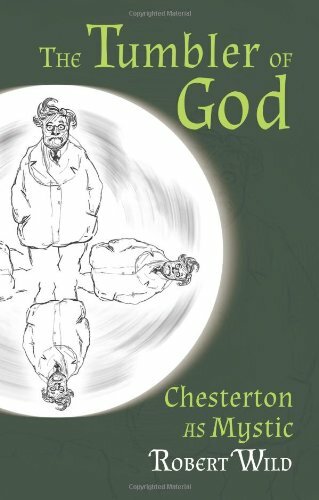 Many books have been written about Chesterton, but Fr. Wild attempts something that I have not seen before: to describe the basic contours of Chesterton’s spiritual life. Fr. Wild argues that Chesterton is a kind of mystic, gifted with a special awareness of what he calls ‘the thereness-of-being-coming-forth’ — that is, an habitual apprehension of the contingency of creation and its dependence on God’s creative power for its continued existence. The argument is developed carefully and persuasively, drawing on a wide range of Chesterton’s writings. He goes on to argue not only that Chesterton lived this “Creator mysticism,” but that he had it in virtue of a special divine grace. That is harder to demonstrate, but the whole line of argument will surely be of special interest to the Bishop of Northampton. A stimulating read. It had been about ten years since I last read this wonderful novel; I am so glad that I took the time to revisit it. It is, of course, Mann’s modernized rendering of the Faust myth. The central character, Adrian Leverkuhn, is a composer who sells his soul to the devil in exchange for a lifetime of creative genius and worldwide acclaim. I do not know why this book is not more widely read and more lavishly praised; few twentieth-century novels are its superior. 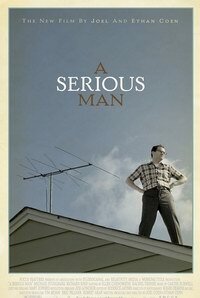 Mann’s writing is superb: elegant, elaborate, and precise, with a charming loquacity that never wears out its welcome. It poses as a memoir written during the Second World War by Adrian’s childhood friend, and the events of Adrian’s life parallel Germany’s ill-starred bid for power under Hitler. But it would be crude to reduce the book to a political allegory: at its heart it is, I believe, a meditation on creativity and the sources and costs of artistic genius. 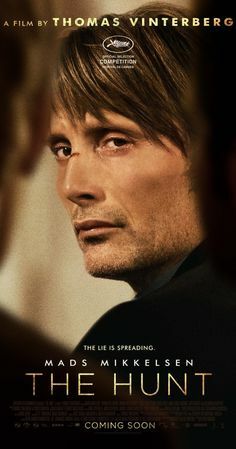 The supernatural elements of the tale are handled deftly and with considerable subtlety: we are left in some doubt as to whether Adrian in fact encountered the devil or whether his genius and his eventual madness are together rooted in a physical malady, albeit one with a moral aspect. 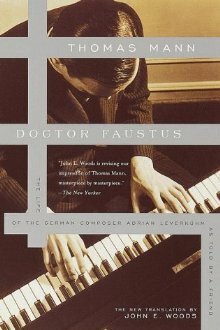 The book is a treat for music lovers too, as it contains some of the finest literary prose about music that I have ever encountered; the section on Beethoven’s last piano sonata is especially transporting. It is a great book from start to finish. This year I devoted quite a lot of time to reading Thomas Malory’s Arthurian tales, most of them in the Middle English of Caxton’s original printing. In the course of doing so, I revisited this story about the adventures of Gawain, Lancelot, Galahad, and others as they search for the Holy Grail. For me this story, of all those in the Le Morte d’Arthur cycle (that I have so far read), is the most resonant and moving. It seems to me that, simply because of the nature of the story it is telling, it can be naturally interpreted as both a rousing adventure tale and as an allegory of the Christian soul’s quest for Christ. More effectively than in The Pilgrim’s Progress (which is so dourly moralistic), this story informs the inner life of prayer and devotion with magnanimity, gallantry, and the other splendid virtues of the Arthurian moral universe. It is a truly magnificent book. Speaking of dour — well, that’s not a fair way to begin, and “dour” is not quite the right word. Maclin Horton reminded me of Dr. Johnson’s comment about Paradise Lost: “None ever wished it longer than it is”, and while I admit that I cannot help smiling with recognition at the truth of that, I will also confess that there were many points at which I was truly carried away, spell-bound, by the power of Milton’s poetry. His reputation as a stern taskmaster is not the whole story. He is perhaps hard to love, but he has my respect. And we English speakers are not so richly blessed with epic poems of genius that we can afford to be cavalier toward this one. Much has been made of the alleged attractiveness of Milton’s Satan; when I first read the poem some years ago I was willing to go along with it, but this time I was less convinced; Satan may be the most characterful figure in the story (and he is certainly far less problematic than Milton’s disastrous God character), but I did not find him remotely seductive. 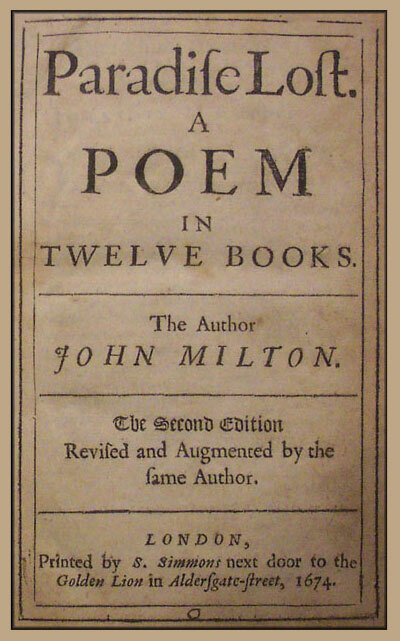 As I read the poem, I leaned on two sources to help me better understand and appreciate it: Yale’s “Open Courses” lectures on Milton, and C.S. Lewis’ A Preface to Paradise Lost. On balance, I do not recommend the former: the lecturer is so intent on discovering subtle and unexpected meanings that he routinely overlooks the obvious and evident (and sometimes opposite) meanings, and he too often exhibits what C.S. Lewis calls the “touching innocence” of critics who believe the claims of the father of lies; Satan’s absurd claim, for instance, that because he cannot remember his own creation he might — who can say? 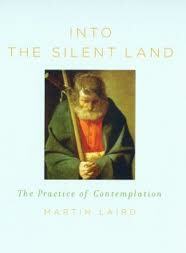 — be self-created is treated in these lectures as a kind of provoking paradox ripe with subversive wisdom. On the other hand, there was a very interesting discussion of how Milton, in his descriptions of pre-lapsarian Eden, uses words in such a way as to restore to them morally neutral meanings (for example, “error” is used to describe the wandering course of a river rather than a moral fault); that sort of thing I find fascinating. Lewis’ book, for its part, is outstanding; it’s an indispensable companion piece in my view, loaded with good sense and helpful background. We read a lot of books with the kids; given their ages, these are mostly picture books short enough to get through at bedtime. But I have also been making an effort to “scout ahead,” reading a few popular children’s books that they might be ready for in 5 or 10 years. Thus it was that I came to Philippa Pearce’s magical little novel about a boy’s nocturnal adventures in a mysterious garden behind the London house he is visiting. The story has its secrets to disclose — I guessed the general shape of them fairly early on — but for me the attraction of the book is not so much in the story as the atmosphere: the book has a dreamy, hushed quality that has lingered long in my memory. Perhaps it would be an unusually sensitive child who would apprehend that tonal dimension, but my general rule is to give the children books that have more in them than they know. 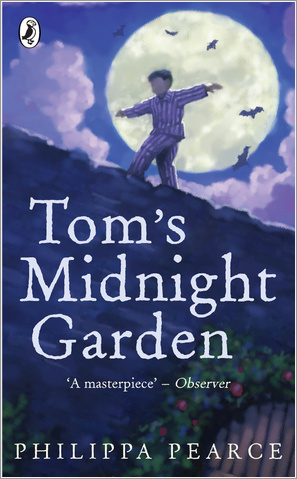 As such, Tom’s Midnight Garden is for keeps. We like Kate DiCamillo for her “Bink and Gollie” book, so I thought it would be fun to try this novel about a valiant little mouse who saves a princess. We actually read the whole book to our four-year old, and she followed it all the way through. There were some thematic elements early on that made me wary — tiresome tropes about rejecting the traditions one inherits and embracing one’s unique inner mouse — but of course whether that is objectionable depends very much on what is being rejected and what is being embraced, and in the end I was won over. 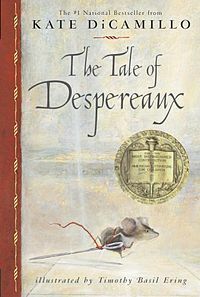 Despereaux, with his large ears and wide eyes, is a splendid little hero. DiCamillo sets him apart from his kind by making him especially attentive to beauty, and it is his love of beauty that ennobles him and opens up for him a world that his friends and relations do not perceive or understand. This seems an unusually terrific premise for a children’s book. The writing is lively and clear, with strong but not simplistic characters. I’ve heard that there’s a film version of the book, but I’ve also heard that it’s not very good. The book, by that measure, is better. 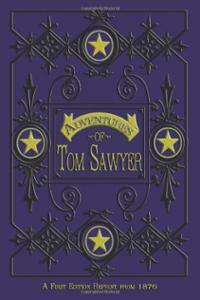 Would you believe that prior to taking up Tom Sawyer I had never read anything by Mark Twain? For some reason I had assumed that he was a hack, writing “exciting” adventure stories without much substance to them. I got a fitting comeuppance. It is true that the book is fairly episodic, but when the episodes are this entertaining I can hardly complain. I did not read a funnier book all year, but I love the book chiefly for its wide-eyed evocation of boyhood: granting that Tom is unusually adventurous and mischievous and exaggerated for comic effect (few boys of his time, I imagine, played at Robinson Crusoe long enough to make an appearance at their own funerals), the writing has the ring of truth to it: the awkwardness around girls, the failure to think through consequences, the inattention to schedules and cleanliness. Chesterton once wrote that childhood was “like a hundred windows open on all sides of the head,” and something of that experience makes it into these pages. Huck Finn is on my reading list for 2014. And that’s the kind of year it’s been. Comments and recommendations welcome! After I had finished putting together this list of favourites, I noticed that the majority were of music for voices, with a few solo recitals and chamber music recordings thrown in, but no orchestral music. That reflects my own interests, and so is quite fitting. I didn’t make any attempt to go back and come up with something more balanced across genres. John Taverner died in 1545, which means that he lived and worked during a tumultuous period of English history. 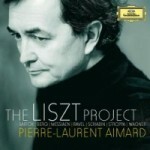 The pieces on this recording date principally from the early part of his career, when the Catholic consensus had not yet been disrupted. 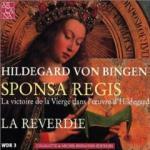 Consequently the music is sumptuous, complex, and glorious in the finest high medieval manner. The programme includes two large-scale works, Ave Dei patris filia and Gaude plurimum, each lasting about fifteen minutes, plus a handful of other pieces, including the well-known (or, at least, fairly well-known) motets Audivi vocem and Dum transisset sabbatum. 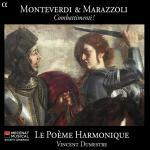 The interest here is not so much in the repertoire — all of this music has been recorded before — as in the performances. 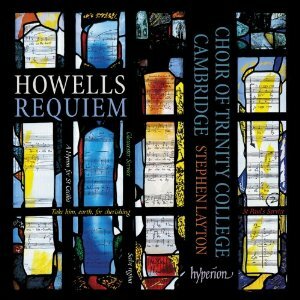 This is simply one of the best sounding recordings of choral music that I have ever heard; it is magnificent. The ensemble Alamire is relatively young, although its members, and in particular its director David Skinner, are veterans of the early music scene. Their experience shows: the singing is superbly balanced, the rhythms supple, and the textures clear. I love it when I can hear down through the strata, from soprano down to bass, as I can here. 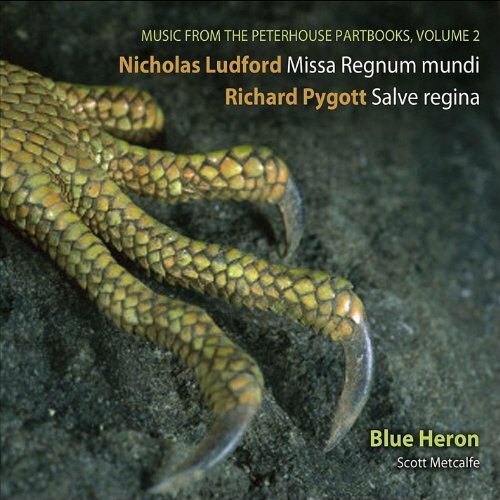 The recording was made at Arundel Castle, which not only has a superb acoustic, but the conditions under which the recording was made were unusual. In a BBC interview that I heard a few months ago, David Skinner described how the ensemble stayed in the castle for an extended period, rehearsing the music together, living with it, even memorizing it, until they felt they could sing it with full attention to expression and ensemble, rather than to mere technical difficulties. This approach paid off abundantly, to my ears. 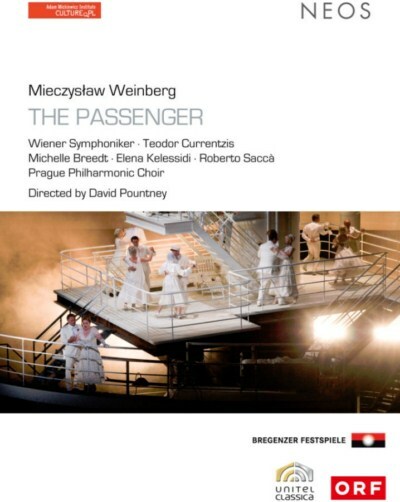 This is the world premiere recording of Mieczyslaw Weinberg’s opera Die Passagierin (The Passenger). 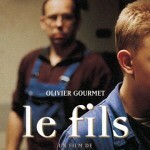 Written in the Soviet Union in the 1960s, it had to wait until 2010, at the Bregenz Festival, for its first full performance, which was filmed for this DVD release. Weinberg himself died in 1996, never having seen it staged. The opera is a Holocaust drama: some years after the end of the war, Lisa and her husband Walter are aboard an ocean liner crossing to America when Lisa encounters another passenger whom she believes to have been a prisoner at Auschwitz where she (Lisa) had been an SS guard. There is some uncertainty as to whether the passenger is or is not the former prisoner — her name was Martha, and Lisa had thought her dead — but in any case the encounter brings back a flood of anguished memories. The staging of the opera moves back and forth between the cruise ship and Auschwitz, the relationship between the two women becoming gradually clearer. Obviously particular sensitivities surround any art about the Holocaust, and Weinberg’s opera — based on a novel by Zofia Posmysz — is especially praiseworthy for its humane spirit. It treats its characters as real people, not as symbols, and there is a good deal of tenderness and understanding in it. It is definitely a drama, not a propaganda piece. This sobriety is all the more remarkable considering Weinberg’s own history: he was a Polish-born Jew whose family was killed at Auschwitz. The music of The Passenger is very good. Some readers will know that Weinberg is a composer whose music, since I first discovered it a few years ago, has captured my heart and earned my admiration. His music is real music, all the way down, and the music of this opera is no exception. His vocal lines are singable — not always the case in twentieth-century opera — and the orchestral music is subtle and beautiful, even when it expresses (very aptly) violence and anguish. At a particularly dramatic point in the story he incorporates the music of Bach into the score, and the effect is electrifying. Weinberg was a friend to Shostakovich, who said, on one occasion, “I shall never tire of the opera The Passenger by M. Weinberg. I have heard it three times already [presumably at the piano] and have studied the score. 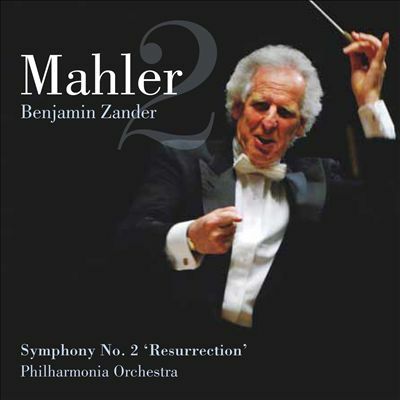 Besides, I understood the beauty and enormity of this music better and better on each occasion. It is a perfect masterpiece.” Whether that judgment holds up or not is open to debate, but, speaking for myself, I can say that on first listen I liked The Passenger more than I like the operas of Shostakovich himself. In any case, thanks to the Bergenz Festival and the NEOS label, we now have the opportunity to hear the work for ourselves and make up our own minds. 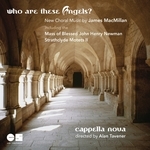 MacMillan: Who Are These Angels? The Worcester Fragments are a set of surviving manuscripts from Worcester Cathedral, mostly dating from the late thirteenth and early fourteenth centuries, and consisting principally of three-part sacred polyphony. They are fragmentary because the books in which they were originally written were ‘recycled’: taken apart, cut up, and reused as raw material for other books. In some cases the parchment was erased and overwritten, or glued into book-bindings. Though much of the music was thereby lost, this recycling operation turned out to be a blessing in disguise, for precisely because the music was thus ‘hidden away’ it evaded the general conflagration that destroyed so much of England’s sacred music in the aftermath of the Reformation. 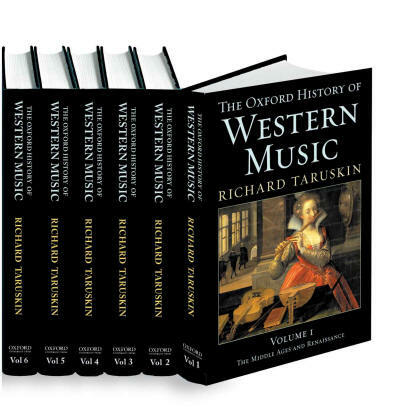 Only in the twentieth century did musicologists piece together the music from Worcester again. Thank God for musicologists, because this music is gorgeous. It has probably never been sung, much less recorded, as well as it is here. 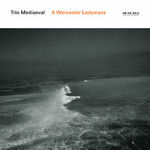 The three women of Trio Mediaeval have made a name for themselves on account of the purity and blend of their sound, and they give this music their pristine, ethereal best. 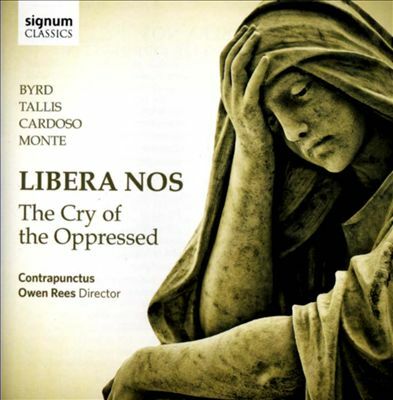 The disc’s programme is a quasi-liturgical Ladymass (specifically for the Feast of the Assumption of the Virgin); they have therefore supplemented the polyphony with appropriate plainchant, and, because neither a Credo nor a Benedicamus Domino are found among the Worcester Fragments, they commissioned Gavin Bryars to write new ones for them. He did a good job: no-one would mistake them for genuine medieval works — spicy harmonic splashes give their provenance away — but they are clearly aware of, and respectful of, the context in which they are placed.